The Chobe Princesses offer an intimate and relaxed river safari getaway, traversing up to 50km of the Chobe River, along the banks of the Chobe National Park. Ideal for couples, families and small groups, the 3 Chobe Princesses can also be reserved for exclusive use, each sleeping 8 - 10 guests. The Chobe Princesses sail on scheduled weekly departures every Monday (2 nights), Wednesday (2 nights) and Friday (3 nights). Please specify these days and stay period when searching availability. 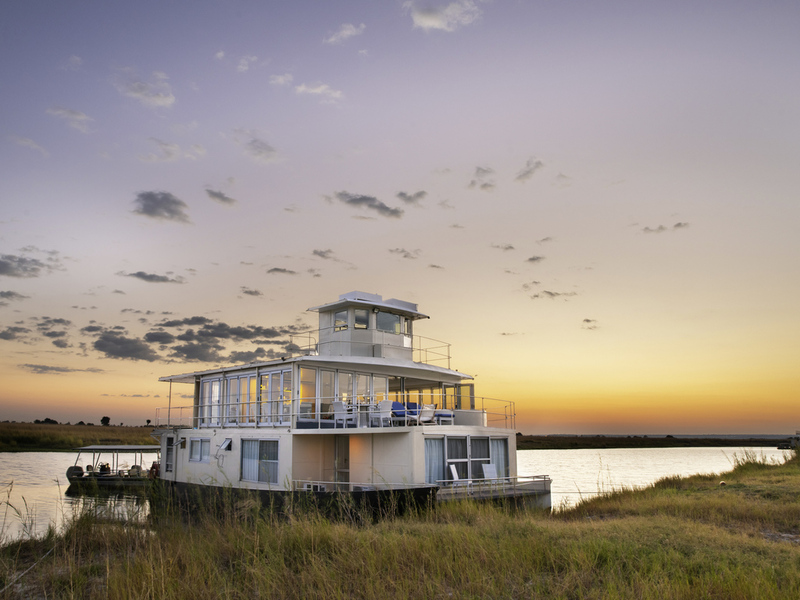 Two of the 18-meter Chobe Princesses contain four cabins, while the third is slightly larger with five cabins. Each cabin sleeps two people, either in a King Size bed, or in two single beds if you prefer. Using seasonal ingredients sourced from local markets, meals consist of a buffet breakfast with hot order, a buffet lunch and 3 course plated menu for dinner. Every mouthwatering dish is prepared by our locally trained Namibian kitchen staff. The Chobe Princess Bar provides the perfect location to sip your drinks while watching game on the banks of the Chobe River. Choose from our extensive selection of drinks, which are included in the rate.